Very Good. Trade paperback (UK). 248 p. Colour photos throughout, B&W photos throughout. Who doesn't enjoy three of life's most enjoyable social activities-eating, drinking, and movie-watching? 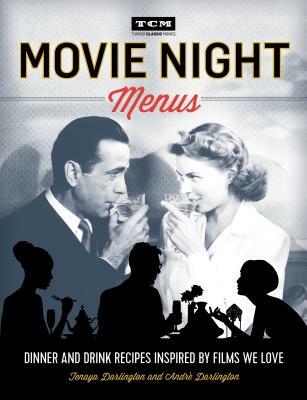 Movie Night Menus is a food-cocktail-and-film pairing guide inspired by the classics we love for date night or to entertain in style. Presented by the film lover's favourite network, Turner Classic Movies. Fine. 0762460938 LIKE NEW! ! ! Has a small black line on edge of pages. Tracking is not available for orders shipped outside of the United States.